The Flames led the West with 107 points and yet are not what anyone would call favorites to come out of the conference. That’s perhaps unfair, perhaps unwise, but a team as explosive as the Flames still tends to amount to nothing much if it doesn’t have competent goaltending. One game is just one game, but Mike Smith had Calgary looking like a real contender. 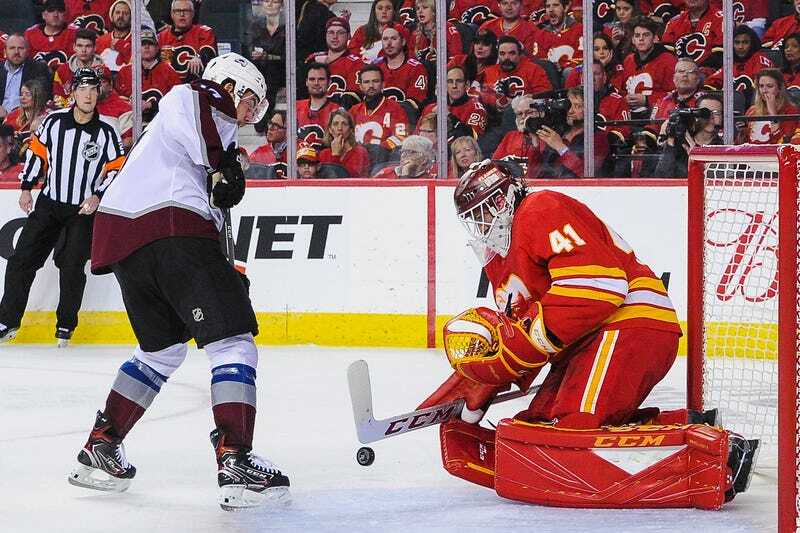 Calgary’s up 1-0 on the Avalanche after Smith’s 26-save shutout performance in a 4-0 win, and a night that saw the crowd repeatedly chanting “SMITTY” was probably not a very popular prediction ahead of a game where it wasn’t even clear which goalie would get the start. And this was definitely not an Islanders-type situation, where there are two great options to choose from. Rookie David Rittich had the better stats this season (a .911 save percentage to Smith’s .898), but the 37-year-old Smith got hotter as the season came to a close, and his playoff experience—he backstopped the Coyotes to a miracle conference finals appearance in 2012, though he hasn’t played in a postseason game since then—made the difference. “The emotions are going to run high, but I think the experience in the past will help you through situations like this,” Smith said. It wasn’t until Thursday morning that he was officially announced as the starter, however, and his leash is likely to be a short one. But Smith didn’t allow even the slightest tug in Game 1. In a game that was scoreless until late in the second, he came up huge, stoning both Gabriel Landeskog and Derick Brassard on the same man-advantage. A little later in the third, he shut down Nathan MacKinnon on the rush. You know about the Flames’ strengths. You know about the scorers, the speedy Johnny Gaudreau and Sean Monahan, and about the pestilent Matthew Tkachuk, and about Mark Giordano, who should end up with a Norris Trophy. You also know about the Flames’ weaknesses. 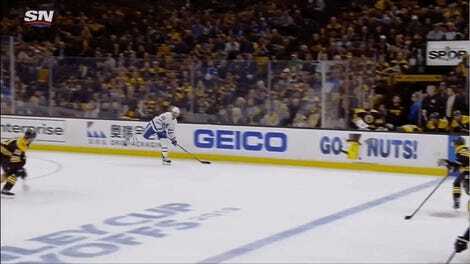 If they get goalie play like this, or like anything close to this, Calgary suddenly becomes a hell of a lot more dangerous.